Soy and menopause - what's important?. Soy is packed with phytoestrogens - does this make it the best - or the worst thing you can eat during menopause? 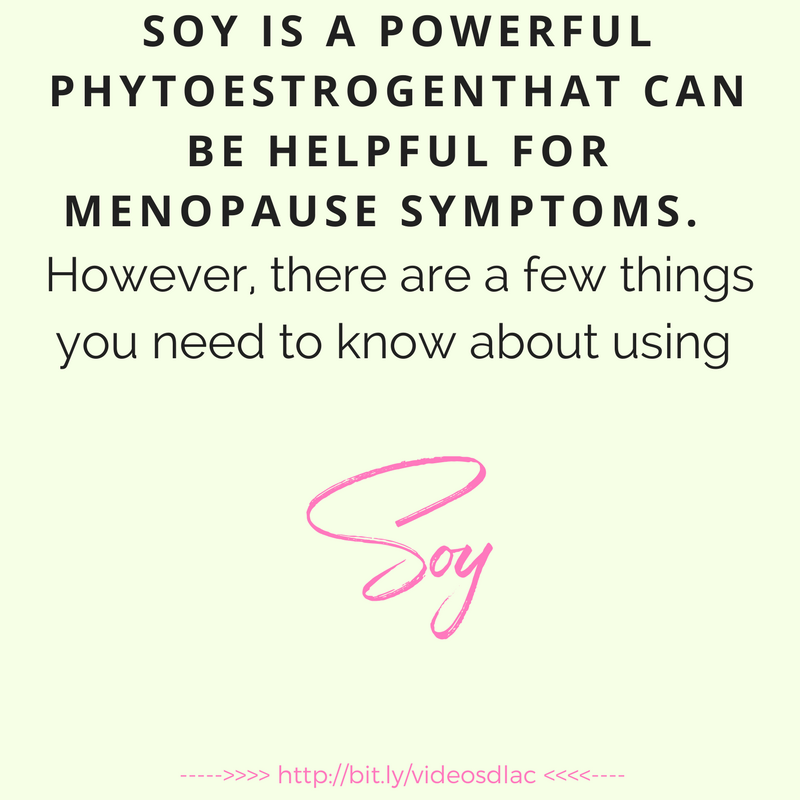 Find out what you need to know about using soy during and after menopause in this short video. Is soy the best thing for menopause, or is it something you want to avoid all together? What's the deal with soy and estrogen? Stick around for today's video to find out how and when to use soy in menopause. Hi, I'm Dana LaVoie, an acupuncturist, herbalist, and founder of Menopause Basics. For 15 years, I've been helping women use natural remedies to balance hormones so they can have an easy menopause and feel great afterwards. Before we jump right into today's topic, I want to ask you a question. How many of you have heard that soy is great to take for managing hot flashes, and you've also heard that soy is one of the first things you should cut out of your diet completely? Because both of those messages are out there all over the place. Now, at the end of today's training, I am going to invite you to sign up for a free copy of my Menopausal Woman's Roadmap so you can learn five easy to follow steps that will help you know just what to eat each day for hormonal balance. I'll give you more details later, but for now let's get started. I've been working with women in menopause for 15 years now, and I've noticed that so many women either think soy is something they should be using lots of, or something they should be avoiding completely. Here is the deal. Soy is a powerful phytoestrogen, which mean it is an important building block for hormones in your body and it can help relieve symptoms of menopause like hot flashes and night sweats. However, there are a few things you need to know about using soy in menopause. Number one, soy is a very common allergen. 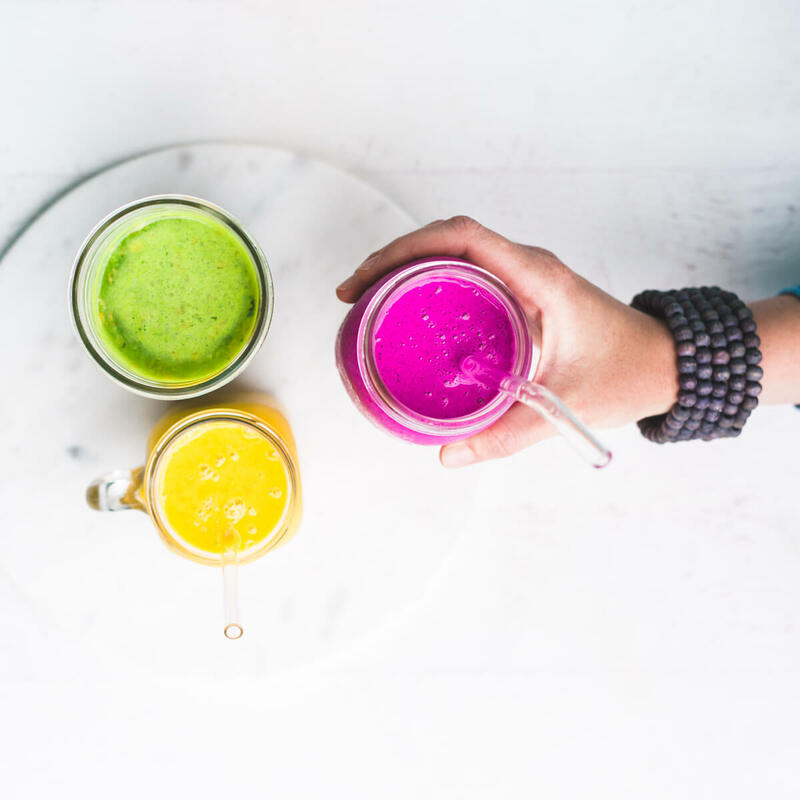 It's one of the top seven reactive foods according to J.J. Virgin, and if you are allergic to soy or sensitive to soy or find it difficult to digest, you probably want to avoid it because for you it can cause inflammation, malabsorption and weight gain. So like I said, soy is hard to digest. It tends to be sprayed very heavily with pesticides, and most, in fact 90% or more of soy grown in the U.S. is GMO. If you are going to use soy, you definitely want to only use organic non-GMO soy. We're going to talk more about that in a minute. Another thing about the best way to use soy in menopause is to use it, when you use think of using it like a condiment. Condiment, right, like a flavoring, ketchup, you know, something like that. Soy is not great as a main source of protein in your diet. You want to use it more like soy sauce as a flavoring, soy miso in your soup, or a little tofu in your stir-fry, and this is how soy was traditionally used in Asia. This tends to give you the benefits of some of the phytoestrogens which can be great, without running into the negative side effects you can get from soy. What you want to, I would recommend avoiding would be using large amounts of soy. Soy as a main protein source, protein powder, soy ice cream, soy milk, soy roasts, soy dogs, those kinds of things. How many of you have heard: Soy is one of the best ways to manage menopause!And soy is the first thing you should cut out of your diet! Confusing, right?? Another reason not to use soy in meonpause as a main source of protein other than that it's a little hard to digest, is that while it is a complete protein, it's not that well balanced. It's very low in a couple of important amino acids, so if you use it as your main source of protein, it doesn't work that well for the body. What this all means is that the best ways to use soy in menopoause are always use organic non-GMO soy, and if possible use a fermented form of soy because the fermentation makes it much easier to digest. Those would be miso, tempeh, natto, and soy sauce. Non-GMO organic tofu in moderation is okay too, but try to avoid the overly processed large amounts of soy in soy milk and soy protein powder, and soy roasts and things like that. If you are allergic or sensitive to soy, you are one of the people who should probably avoid soy because it can cause all kinds of problems. So, if you don't digest it well, if you are sensitive to it, reactive to it, allergic to it, intolerant of it, probably best to avoid it. And another group of people who might want to consider avoiding soy completely are if you have low thyroid, which is actually pretty common, or you have an elevated TSH which means your body is thinking about going low thyroid. Then you might want to completely avoid soy or limit it to two small servings a week, because it is possible that soy can further suppress your thyroid. So, if you're not allergic, to recap what we learned today, if you're not allergic or sensitive to soy, use it in moderation. Think of using it like a condiment. It can a good source of phytoestrogens that can help you manage hot flashes and night sweats. If you do use soy, use only organic non-GMO and preferably fermented like natto, miso, or tempeh. Avoid or limit soy if you are low thyroid. So, if you enjoyed this video and want to know my favorite, most highly recommended foods to eat every day for hormonal balance and menopause relief, I invite you to click the link below to sign up for your free copy of my Menopausal Woman's Roadmap. It is a free download that will give you five easy to follow steps on the most important things to include in your diet every day, and it'll show you the top three mistakes that women tend to make in menopause and just how to fix them. I'm also a host of a Facebook group and I'll leave a link in the comments below or you can join instantly. Inside of the group is where all of the best discussions happen about these videos. So if you have questions or want to continue this conversation, I'll see you inside my Facebook group Menopause Basics. 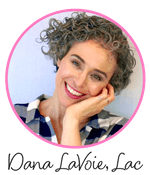 I'm Dana LaVoie, an acupuncturist and herbalist, and founder of Menopause Basics. Thanks so much for watching, and I'll see you next time.